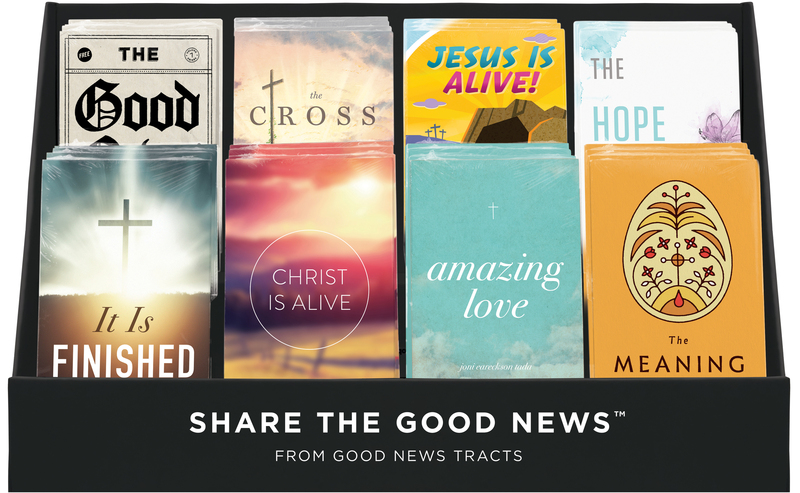 To help keep you stocked with new, themed, or seasonally appropriate tract titles, Good News Tracts offers customized refill packages for your 8-pocket clear acrylic rack. 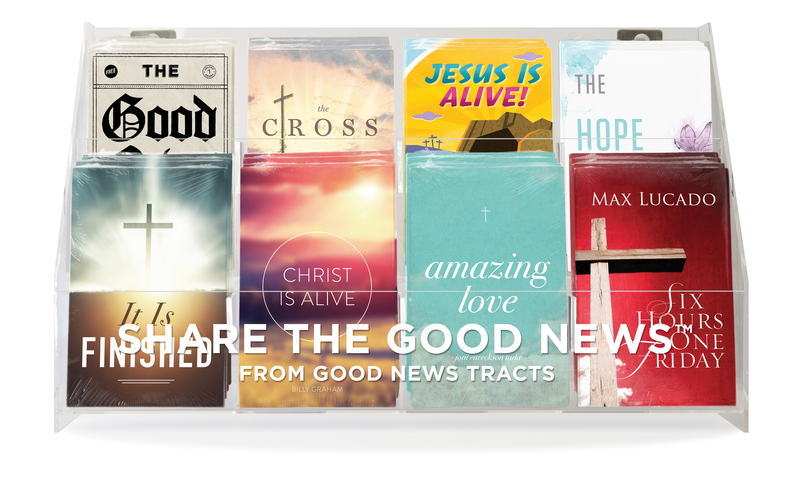 To help keep you stocked with new, themed, or seasonally appropriate tract titles, Good News Tracts offers customized refill packages for your 8-pocket clear acrylic rack. Each refill comes with thirty-two packs*—four each of eight different titles. Browse our collections here. *Sold in packs of 25. You are eligible to receive a free 8-Pocket Tract Display with your purchase. If you would like the display to be included with your order, please follow instructions on your email sales receipt or call 800.323.3890. Joni Eareckson Tada’s moving account of Christ’s crucifixion brings to mind the realities of our Savior’s suffering as he bore the sins of humanity. This tract conveys the powerful message of Christ’s suffering on the cruelest of Roman torture devices…the cross. Billy Graham prepares the readers of this tract for the inevitability of the human experience of physical death, but also of the reality of eternal life through belief in Christ. This tract shares the hope offered to us when Christ proclaimed that his work on the cross was not just beginning—but finished! Max Lucado explains that eternal life is offered to all because of what was accomplished during six hours on the first Good Friday. An Easter adaptation of the effective gospel presentation, "Steps to Peace with God". This uplifting tract shares the good news of Easter—Christ's gift of eternal life for those who place their faith in the power of his resurrection. This tract explains the joy that Christians have at Easter—Jesus came back to life after giving his life for us!